You don’t just want to look your best; you also want to feel your best. Today, life is demanding, and there’s always something that needs to be done. Between work and home commitments, it can be hard to keep up. At NOVA Plastic Surgery, we offer vitamin and mineral injections that can help your body function optimally, giving you the boost you need to stop “getting through the day” and start waking up feeling refreshed and ready to take on the next challenge. NOVA Plastic Surgery is an anti-aging clinic in Northern Virginia that addresses aging and health issues from the inside out and from the outside in. We offer a wide variety of treatments to help you look and feel your very best, including plastic surgery, MedSpa treatments, dermatology services, and wellness treatments. Our MedSpa services include treatments such as chemical peels, Botox, dermal fillers, laser treatments, and broadband light therapy. Our dermatology treatments include acne therapy, mole and scar treatments, and cyst removal. We also offer PRP (platelet-rich plasma) injections, for hair loss prevention and facial rejuvenation. When looking and feeling great are important to you, NOVA Plastic Surgery is an excellent choice. Instead of going to several different providers to meet your plastic surgery, MedSpa, dermatology, and wellness needs, you can visit one clinic and get the care you’re looking for in a beautiful, relaxing environment. We take pride in our work and in helping you feel amazing on both the inside and outside. We’ll work with you to create a customized treatment plan that considers your aesthetic goals and your nutritional and wellness needs. Our wellness and anti-aging injections don’t replace the need for a healthy, vitamin-rich diet of fresh fruits and vegetables, leafy greens, and minimal amounts of processed foods, white sugar, and white flour. However, they can help deliver many of the nutrients you need quickly and efficiently. NOVA Plastic Surgery is a state-of-the-art medical facility in Northern Virginia that blends ultimate comfort and luxury with cleanliness and sterility, so you will always feel at ease when visiting our office. At your wellness consultation, you’ll meet with one of our experienced medical providers, who will ask a few questions about your health history and current health status. You’ll discuss any medications you currently take and what allergies you have, and any contraindications will be verified with you before treatment. We will take your vital signs and discuss with you the best combination of wellness and anti-aging injections that will best meet your needs and provide you with the maximum benefit. You’ll be given the opportunity to ask questions about the treatment, how you’ll feel afterwards, and what you can expect in the next few days and weeks. We want you to feel completely comfortable about your injections. Once your questions have been answered, you’ll sign a medical consent form, and an experienced medical assistant or phlebotomist will administer the injections. Depending on what injections you are receiving, it should take between 30-60 minutes to complete your full treatment. We help you relax during this time in our upscale environment by offering a plush robe, warm blankets, and an ergonomic treatment table. If there’s anything you need, you can just ask. At NOVA Plastic Surgery, our experienced surgeons and medical professionals have worked with sterile 503B compounding pharmacies to develop a number of vitamin and mineral treatments that can be used individually or together for optimal performance. You can get many of these same vitamins and minerals from your local pharmacy or wellness store in pill form. However, a parenteral route of administration—through an IV or intramuscular injections—provides rapid results. It ensures maximum absorption, avoids gastric irritation, and is simple and safe. 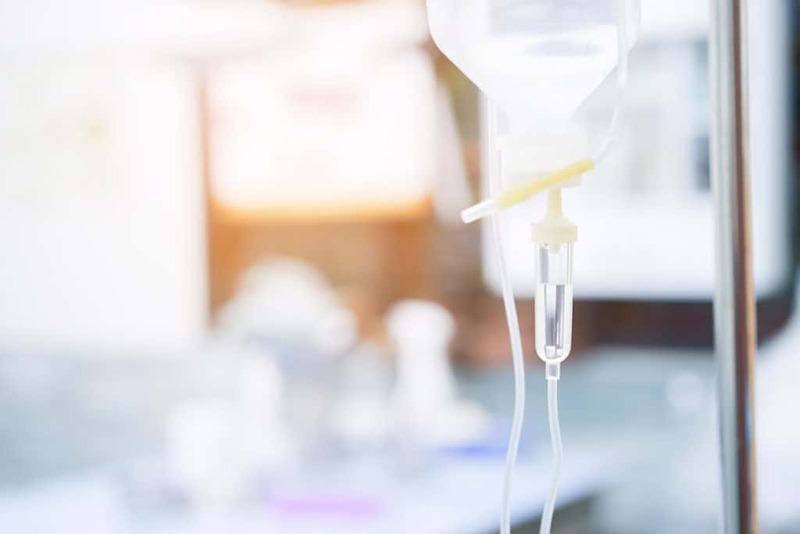 IV vitamin therapy allows you to receive the vitamins, nutrients, and antioxidants you need intravenously, quickly infusing your body with a boost of energizing and refreshing components. Whether you’re suffering from fatigue or jet lag, want to enhance your athletic performance, just had surgery, or simply want to slow down the aging process, IV vitamin therapy is an excellent solution. IV vitamin therapy is contraindicated for women who are pregnant or breastfeeding, have renal disease, or have a Thiamine allergy. Many people use vitamin B12 to help support their metabolism and keep up their energy levels. However, there are many more benefits to parenteral administration of vitamin B12. Vitamin B12 is poorly absorbed in pill form, and not much reaches the bloodstream. Most of it is processed out of the body, making it near useless. Sublingual (under the tongue) B12 is absorbed more easily, but nothing surpasses the ability of the body to absorb B12 that is directly injected. Vitamin B12 injections are excellent for vegans and vegetarians who want to make sure they’re getting enough nutrients beyond their diet, males who are experiencing infertility, individuals with certain neurocognitive disorders, and individuals who frequently suffer from fatigue. A vitamin B12 injection can help restore your energy levels, giving you a refreshed feeling. Over time, regular vitamin B12 injections can help you combat feelings of depression and weakness while boosting your cognitive function and reducing headaches. Vitamin B12 injections aren’t for everyone. If you have allergies to any of the ingredients, suffer from low potassium levels, have kidney disease or a rare blood disorder, or are pregnant or breastfeeding, discuss with your medical professional before receiving the treatment. The most common side effects of vitamin B12 injections include redness and pain at the injection site, mild nausea and diarrhea, itching, and headache. Most side effects will resolve quickly and on their own, but it is important to let your medical professional know right away if you experience severe side effects that cannot be managed with at-home care. Our wellness injections also provide trace minerals that are critical for your body’s function. Magnesium, one of seven macrominerals, is a critical mineral that the body needs to function. Symptoms of magnesium deficiency can include muscle cramps, nausea, weakness, and a reduced appetite. Magnesium is important for the absorption of calcium and overall bone health, as well as heart and muscle health. Increased intake of magnesium has been directly associated with reduced anxiety, reduced migraine headaches, and a reduction in the risk of developing Type 2 diabetes. Magnesium is so important to the body that it is connected to over 300 enzymatic reactions, including nerve impulse transmission and how food is metabolized. Though not a macromineral, zinc is a trace mineral that has gained notoriety for its ability to boost the immune system during illness. Individuals who are deficient in zinc are much more susceptible to picking up the latest virus or bacterial infection that is going around, and a lack of zinc can often make you feel tired or unwell without being able to pinpoint any specific problem. Zinc can help people with a cold or the flu get better faster. It can help wounds heal and decrease the risk of age-related diseases. Additionally, zinc has been found to be extremely effective when paired with folic acid to help reduce male infertility. Up to a 74 percent increase in sperm count with men who suffer fertility problems was discovered after supplementing with zinc and folic acid. Although zinc can be taken orally as a supplement, it is often hard on the stomach. Supplementing with zinc intravenously bypasses the stomach and delivers the mineral through the bloodstream for maximum efficacy. You’ve often heard that amino acids are the building blocks for life. It’s true—your body needs amino acids for nearly every function it has. Amino acids are critical to the body’s synthesis of proteins, hormones, neurotransmitters, enzymes, and metabolic pathways. Your body makes some amino acids on its own, but there are many amino acids that it doesn’t make and that you need to get from your diet. Unfortunately, even a diet rich in fresh fruits and vegetables can lack many of the complex amino acids that your body needs to function. Our amino acid injections contain branched-chain amino acids, including leucine, Isoleucine, and valine, as well as tri-amino acids, including arginine, citrulline, and ornithine. Amino acid injections are excellent for athletes because these essential acids help you recover faster after strenuous exercise. Amino acids can reduce muscle inflammation, suppress pain, help synthesize norepinephrine and dopamine (the brain’s “happy” chemicals), and increase blood flow. In addition to athletes, others who can benefit from amino acid injections are individuals who suffer from depression and anxiety, men who struggle with impotence, and individuals who suffer from chronic pain. Branched-chain amino acids have been proven to increase muscle growth, prevent muscle wasting, and reduce exercise fatigue. They also can benefit individuals with liver disease—studies have shown that individuals with liver cirrhosis may reduce their risk of developing hepatocellular carcinoma (a type of cancer) with the supplementation of branched-chain amino acids. Amino acid injections aren’t for everyone. People who have certain amino acid metabolism diseases, such as maple syrup urine disease, should not get amino acid injections. Individuals with heart disease, kidney disease, and liver disease should also not receive amino acid injections. Your medical professional will discuss with you any contraindications and help you decide if amino acid injections are right for you. The most common side effects of amino acid injections are pain and redness at the injection site, flushing, fever, and nausea. Typically, these side effects are short-lived and manageable with moderate at-home care. Call your medical professional as soon as possible if you experience severe side effects that cannot be managed at home. Essentially, antioxidants work to protect your body’s cells from becoming damaged by free radicals. Free radicals are molecules that are produced as your body digests food or when you are exposed to radiation, tobacco smoke, processed foods, certain medications, too much stress, and UV rays. Though it is possible to get many antioxidants from a diet rich in fresh foods such as fruits and vegetables, raw nuts and seeds, and some herbs and spices, you would have to eat a lot of them to get the same benefits as an antioxidant injection. Antioxidant therapy can help improve memory, energy levels, and an overall sense of healthiness and well-being. They also help to reduce inflammation and bolster the immune system to help you fight off viruses and infections. Our antioxidant injections include L-glutathione and alpha lipoic acid. Many people can benefit from antioxidant injections, including individuals who are receiving chemotherapy or radiation as part of cancer treatment and individuals with glaucoma, liver disease, heart disease, lung diseases, and male infertility, just to name a few. Antioxidant injections have also been shown to help people with high cholesterol levels, chronic fatigue, osteoarthritis, diabetes, Parkinson’s disease, and anemia. Glutathione specifically is a powerful antioxidant that has a number of wellness benefits. It is naturally produced in the body and contains amino acids glycine, cysteine, and glutamine. However, sometimes the body doesn’t get enough of this antioxidant. Stress, toxins from the environment, and inadequate nutrition can all play a role in reducing the amount of glutathione present in the body. Unfortunately, almost everyone is exposed to these three things. Primarily, glutathione reduces oxidative stress in the body. Too much oxidative stress—or more free radicals present than your body can naturally dispose of—can be a forerunner to a number of diseases. Glutathione also reduces cell damage in cases of non-alcoholic and alcoholic fatty liver disease. Although glutathione can be taken orally, studies have shown that it is most effective at reducing the enzyme, protein, and bilirubin levels in the blood when administered intravenously under a physician’s supervision in doses higher than what can be found in oral supplements. Alpha lipoic acid (ALA) has been found to be particularly effective at helping the body use its own insulin to lower blood sugar levels in individuals who have been diagnosed with Type 2 diabetes. It also has been shown to reduce the symptoms of peripheral neuropathy or nerve damage caused by diabetes, which can be quite painful. ALA may also be effective at slowing damage done by other systemic diseases, but early studies are still being done. Although ALA, like many other supplements, is available in pill form, it is not absorbed well by the body in this manner; only 30-40 percent is fully absorbed, compared to a much higher absorption rate with intravenous use. Not everyone should take antioxidant injections. Pregnant and breastfeeding women and individuals with asthma should discuss antioxidant injections with their medical professional before receiving treatment. Very few side effects are associated with the administration of antioxidants via injection, with the exception of mild discomfort and redness at the site of the injection, which is typical of any injection. Let your medical professional know if you experience any side effects shortly after the injection that are too severe to be managed at home or that persist beyond a few hours to a few days. NOVA Plastic Surgery takes wellness and anti-aging seriously and treats individuals from the inside out and the outside in. We’re committed to helping our patients look and feel their very best so they can lead a rich and full life. The owner and founder of NOVA Plastic Surgery, Dr. Fadi Nukta, is not only a board-certified plastic surgeon, he is also a board-certified general surgeon and has significant experience in muscle recovery and parenteral nutrition. We have a team of medical professionals who work with patients during their wellness IV and injection therapies, including Chief of Plastic Surgery Dr. Khalique Zahir, board-certified Physician Assistants Michele Gittings and Danielle Bonnamy, master aestheticians, and phlebotomists. We are committed to providing the ultimate stress-free wellness experience for our patients. From the time that you walk in the door of our facility to the time you leave, you will feel like more than just a number on a chart—you’ll feel cared for and important, because you are. We have a true passion for helping our patients receive the nutrition they need to treat medical conditions and simply to lead a more active and healthy lifestyle. It is important to us that you feel healthy and well in your everyday life and that you have enough energy to do what you love. Supplementing a healthy diet with vitamin and mineral IV infusions and injections can help you get back vitality and zest for life, and give your body what it needs to heal and function at its optimal level. Contact us today for a consultation to discuss how wellness and anti-aging injections can benefit you by calling our office at 703-574-2588. Or request an appointment online and we’ll contact you right away to get you scheduled. We look forward to meeting you and helping you achieve your health and wellness goals!